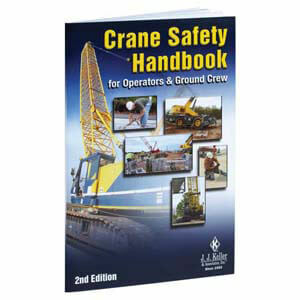 Employers of crane operators will get an extra year to ensure they are certified. A Nov. 9, 2017, final rule delayed the certification deadline until Nov. 10, 2018. OSHA also extended the employer duty to ensure crane operators are competent to operate a crane safely for the same one-year period. The Agency says the extension and delay are necessary to provide enough time to complete a related rulemaking addressing issues with the existing Cranes and Derricks in Construction standard (29 CFR 1926, Subpart CC). The extension and delay became effective on Nov. 9, 2017. According to OSHA, if the crane operator certification requirements were not delayed, there would be significant disruptions in the construction industry. The Agency found evidence suggesting many crane operators in the construction industry do not have the certification required by the crane standard and would not be in compliance with the standard. Further, the situation would not be offset through the existing employer duty to ensure crane operator competency, because that duty would have expired on Nov. 10, 2017.